Serving Richmond, Katy, Sugar Land, and surrounding areas. At Best Dental, we offer IV sedation to all our patients. Also known as Intravenous sedation, or “Twilight Dentistry”, IV Sedation is when a catheter is inserted to provide you with medicines to sedate you during your procedure. Whether it’s to remove Wisdom Teeth, or to place a Dental Implant, IV sedation is always possible if your level of dental anxiety is high. For our patients who choose not to have IV sedation, we also provide oral sedation to help you relax during the dental procedure as well. All forms of dental sedation help our patients feel more comfortable during treatment. If you suffer from dental phobia or anxiety, sedation dentistry may be right for you. Below are some commonly asked questions regarding IV sedation. First, a catheter is inside a vein in your body using a very small needle. An IV line is then connected to a catheter at one end, and at the other end the line is connected to an IV bag filled with saline water. The saline water is constantly infused into your system during the procedure, and the IV agents are given through the IV tubing during treatment. The amount of the drugs or agents given during the procedure will differ from one person to another. Each person will be titrated accordingly and closely monitored during sedation. After the procedure is over, you will be allowed to rest at the clinic, and eventually transported to a vehicle where you will need to go home and rest. Remember, you will need someone to drive you home after the procedure. You will also need to be NPO (without any food or water in your system) for 6-8 hours prior to the treatment. This is a question that we get asked a lot. Although both sedation methods are forms of anesthesia, they are different in many respects. 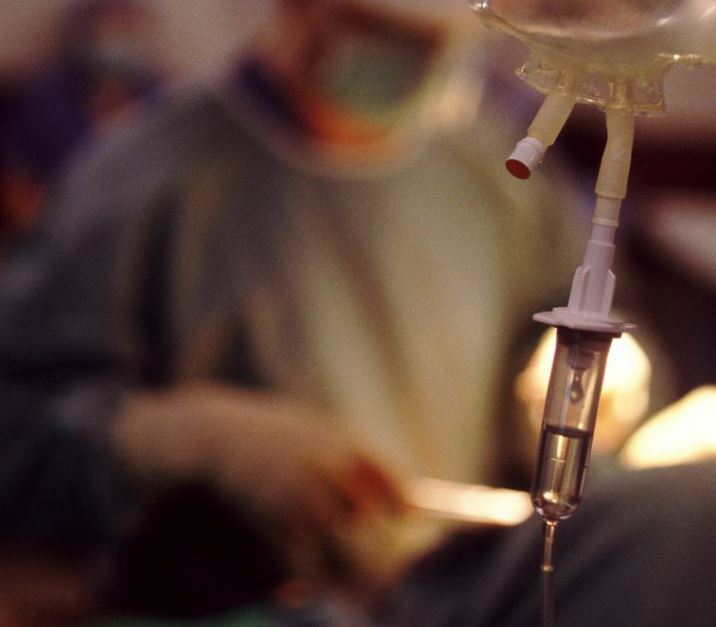 Patients undergoing general anesthesia will have a complete loss of consciousness. This means that patients will not feel, hear or remember anything after the procedure. In order to achieve this loss of consciousness, a mixture of drugs at an elevated dose is needed. In contrast, IV sedation is a state somewhere between being very sleepy, being relaxed in consciousness, and yet not unconscious. The patients may not feel pain, but can sense what is going on around them. As an advantage, the adverse effects that may be associated with general anesthesia are avoided with sedation. Moreover, patients maintain their natural physiological reflexes and are capable of breathing on their own. Patients under general anesthesia must have their airways closely monitored at all times. What is the difference between IV sedation and Nitrous oxide (laughing gas)? Another commonly asked question at Best Dental. IV sedation as mentioned before involves the insertion of a small catheter into a vein in the body. Nitrous oxide is a gas that you inhale before the procedure to reduce your level or anxiety. It is a mixture of Oxygen and Nitrous oxide gas and it does not involve the insertion of a catheter into the body. Nitrous oxide is available at Best Dental, and we encourage any patient to use it to help control and reduce any heightened anxiety that you may have. Oral Sedation is the intake of drugs in the form of tablets or capsules to help reduce anxiety during a dental procedure. There are many types of these drugs that are prescribed. The most common agents include Valium and Halcion. Both of these anti anxiety medications are given by dentists depending on their preference. At Best Dental, we offer oral conscious sedation to our patients. This has allowed many of our patients to feel comfortable and stress-free during their treatment. It can be very safe under the right hands, and very dangerous if someone is not properly trained in how to handle the complications. At Best Dental, our sedation expert has years of hospital training that allows him handle any and all complications that may arise during the course of treatment. Is IV sedation safe during pregnancy? At Best Dental, we care about the health and safety of our patients. We do not recommend nor will we sedate any patient who is currently pregnant. Many of the agents that are given in sedation dentistry are not allowed to be infused in the bloodstream during a woman’s pregnancy. Is IV sedation covered by insurance? Some insurance carriers will cover a portion of the sedation, all of the sedation costs, or none of the sedation costs. We will check with your plan to see if sedation dentistry will be covered by your dental insurance. Is IV Sedation effective in reducing my anxiety? It most certainly is. It is the most commonly used and effective technique used in dentistry today to reduce the fear of the dentist. At Best Dental, we understand that the dental office is not the funnest or most ideal place to be. If you suffer from high dental anxiety, ask Dr. Jasmine about the types of sedation we offer, and how it can help you regain a high level of oral health. Can IV Sedation make you sleep? It definitely can. Many of our patients are snoring during their procedure. We will slowly monitor you during the procedure to make sure that a proper amount of agents are slowly infused into your system. Not at all. The initial placement of the catheter is a little uncomfortable, but that’s really about it. The great news is the medicines that are given can cause short term amnesia so you don’t remember what happened during your procedure. What Procedures can IV sedation be used for? Any dental procedures. Whether it’s a simple dental cleaning, to any complicated oral surgery procedure (Wisdom teeth extractions, dental implant placement), IV sedation can be used in any setting. When will IV sedation wear off? This question has a different answer for each individual. Some people have a high drug metabolism, and can breakdown the drugs quickly from their body. Other will carry the agents in their body a bit longer making the sedation linger a little longer as well. We want to make sure that your experience is one that you tell all your friends about, and what better way than if you can’t recall what happened during the procedure! Please give our office a call to set up a consultation visit with Dr. Jasmine Naderi to see if IV or sedation is right for you.